All topics are available as keynote or breakout presentations and can be combined to fit time and program desired. Speaking fee schedule available upon request. Money disorders got you down? From Spending Bulimia to Income Anorexia, Chellie Campbell treats them all. Her dynamic talk reveals how to create money easily and effortlessly, eliminate debt and enjoy life again. “You can create wealth in your work, happiness in your home and serenity in your spirit,” says Chellie, who speaks to organizations from Northrop Corporation to the Screen Actors Guild. Her best-selling book, The Wealthy Spirit , was a featured Book of the Week on Dr. Laura Schlessinger’s popular nationwide talk show. If you’re tired of working for your landlord, creditors and Uncle Sam with never enough left for yourself, or if there’s “too much month at the end of the money,” Chellie’s fun presentation will show you how to mind your money without losing your mind – and change the way you think about money forever. We’re all on the scale somewhere between nothing and everything. Discover how to enjoy your present riches while working towards your wealthier future through three basic steps: 1) Think Positive! 2) Send Out Ships! and 3) Count Your Money! Learn specific tips for “Baby-U-Deserve-Getting-Every-Thing budgets, managing cash flow, making more money, having more fun – and enjoying more time off every month! It’s Not Cold Calling – It’s Gold Calling! Many people “set” goals but few “get” goals. What makes the difference? Learn how to get the things you really want and overcome the resistance to success that can strike even the most successful businessperson. Design a plan to achieve your dreams and overcome every obstacle in your way. It’s Not Net-sit or Net-eat – It’s Net-work! Zig Ziglar says, “You can have everything in life you want if you just help enough other people get what they want.” Learn how to network effectively without “cold calls,” how to get an appointment instantly with anyone, and how to craft a 30-second introduction that makes you stand out from the crowd. Chellie Campbell is a former musical comedy actress and past owner of a business management firm who’s been a professional speaker for over sixteen years. She’s the author of The Wealthy Spirit: Daily Affirmations for Financial Stress Reduction (Sourcebooks, 2002), a GlobalNet book-of-the-month selection. Chellie is often quoted as a financial expert in The Los Angeles Times, Pink, Good Housekeeping, Lifetime, Essence, Woman’s World and many books, and she’s featured in You’ve Got to Read This Book! by Jack Canfield and Gay Hendricks, How to Run Your Business Like a Girl by Elizabeth Cogswell Baskin, and Money, A Memoir: Women, Emotions, and Cash by Liz Perle. Her latest book, Zero to Zillionaire: 8 Foolproof Steps to Financial Peace of Mind, was just released 2006. 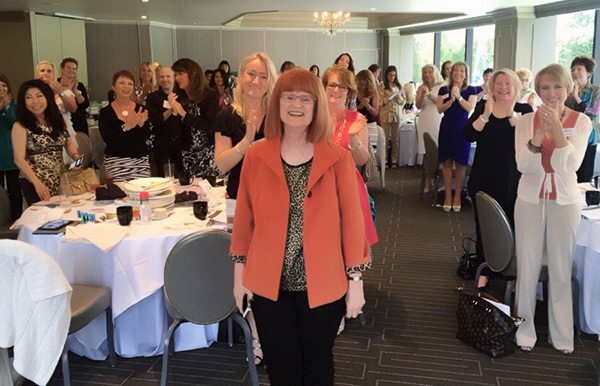 She was selected “2006 Speaker of the Year” by the Women Entrepreneurs of Santa Clarita Valley and “Most Inspirational Speaker” by Women in Management.